All Inspections have been done!!! Beautiful Enchanting Brick Home with Xtra Large Composite Deck surrounding the Screened Porch for Outdoor Living. 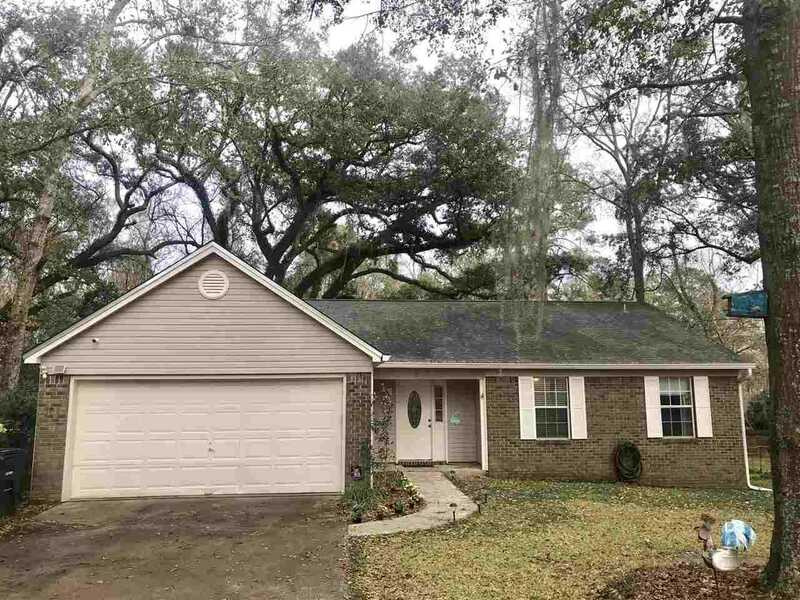 One of the largest lots available completely fenced with beautiful Oaks. Great School zones and close to Bannerman Crossing for shopping and restaurants. This home is so comfortable and charming, from the vaulted ceilings, dramatic fireplace to the large backyard... this one just says, HOME. This is a great home to create memories, where children can play while Mom and Dad spend time together in the screened porch recapping the busy days events. Roof 2009, HVAC 2007, Gutters 2017. SchoolsClick map icons below to view information for schools near 2905 Whirl A Way Trail Tallahassee, FL 32309. Listing provided courtesy of Ketcham Realty Group, Inc..